Sarah J. Ryan is a Principal in the Portland, Oregon, office of Jackson Lewis P.C. 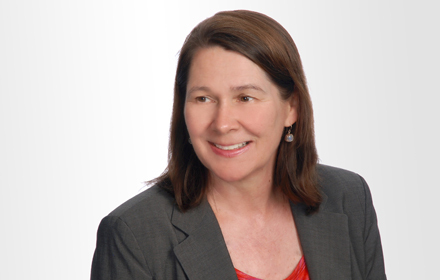 She joined Jackson Lewis in late 2012 following over 25 years of employment and litigation practice in Portland, Oregon. Prior to joining the firm, Ms. Ryan chaired the Labor and Employment law practice group at a regional firm with four offices in three states. Ms. Ryan represents some of Oregon’s leading employers and provides counsel and litigation services in general employment law, as well as a wide range of employee relations issues. Ms. Ryan has extensive experience advising clients and litigating employment claims regarding harassment, discrimination and retaliation, intellectual property protection, breach of contract, wrongful termination, Title VII, ADA, ADEA, employment torts, wage and hour, and state and federal family medical leave laws. She has defended clients in Oregon and Washington state and federal courts and before the EEOC, the Oregon Bureau of Labor and Industries (BOLI) and the Washington Human Rights Commission. Ms. Ryan has assisted one of her clients in obtaining nine summary judgment dismissals in an employment case in just one forum. Ms. Ryan also proactively assists her clients in preventing legal problems by focusing her counsel and advice on creative solutions to personnel issues that eliminate or reduce the risk of litigation. Ms. Ryan is a frequent speaker before business and employer associations, including the Oregon Bureau of Labor and Industries, the Oregon Staffing Association, the American Staffing Association of Washington, the International Public Management Association for Human Resources (IPMA), and the Pacific Northwest Defense Coalition (PNDC). While attending the University of Oregon Law School, she twice received the AmJur Award for Excellence. After law school, she clerked for the Honorable George Woodrich, Lane County Circuit Court Judge for the State of Oregon.